Throughout this three day event, Cordova Fungus Festival attendees will have opportunities to learn more about local mushrooms, participate in art & handcraft workshops, and celebrate mushrooms, salmon and other wild harvested foods in a Wild Harvest Feast. There will be daily guided forays, an identification table, expert key note speakers, a wine & cheese mixer, fungus classes, kids’ activities and more! Bring your baskets, mushroom knives, notepads, cameras and rain gear and join in the fun at the Cordova Fungus Festival. 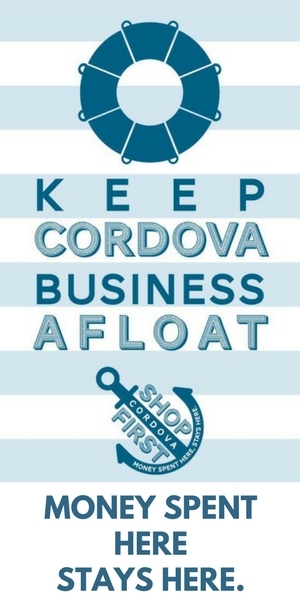 Register online at cordovafungusfest.com. The Cordova Fungus Festival is supported by volunteers just like you. Call the Chamber at 424-7260 to volunteer today. Festival Registration includes entry into classes, speaking events, forays, kids’ activities and gets you a discount on Workshops like classes offered by The Net Loft, Far North Fungi’s Mushroom Cultivation Workshop, and Kristin Link’s Field Sketching art Workshop. Learn more at cordovafungusfest.com. Tickets for the Wild Harvest Feast may be purchased by calling the Copper River Watershed Project at (907) 424-3334.